I’ve found many people throughout my life, who refuse to believe in The Word and salvation because of previous bad experiences with other believers. See here’s the thing, there’s a difference between being a believer in Christ and a follower of Him. Followers of Christ understand that in being like Him, we reach out rather than point out. Being that we are not perfect, there will come a time when we will need a helping hand as well. In conclusion, let us extend our hand to help not hurt, let us care not curse, let us love not loathe. We must never forget our vulnerabilities. 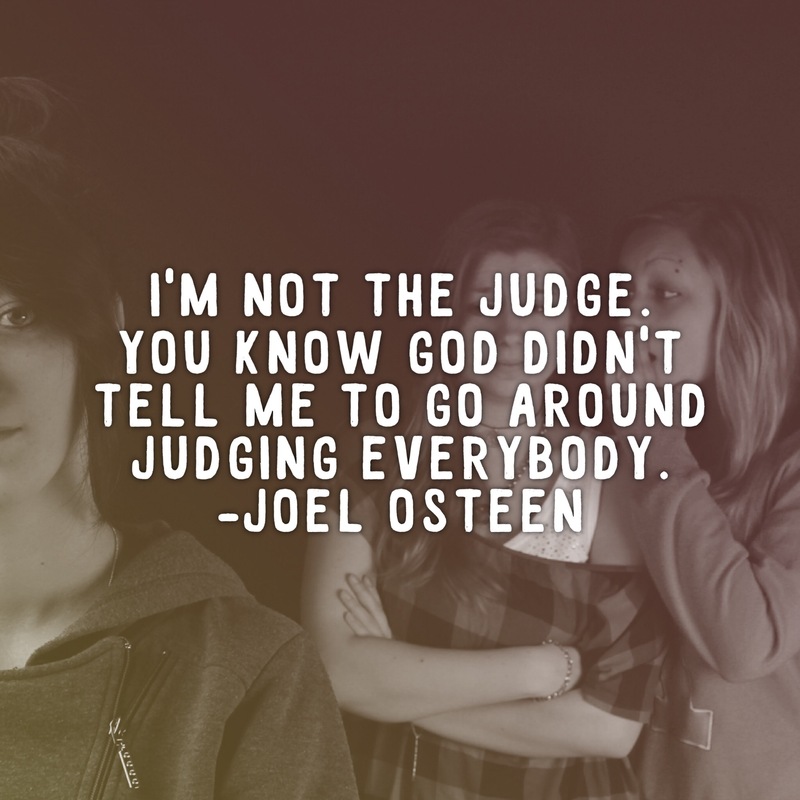 We are all sinners…so no one can judge! Amen!